This is house and lot #2 of Anderson plat, platted April 12, 1827, John Anderson and wife sold to Ebenezer Howes July 14, 1835. Howes sold to Robert G, Clarice April 25, 1837; Clarke to Robert McClelland about 1840; McClelland to Benjamin Dansard July 19, 1853; Dansard to K.G.Bumpus August 23, 1917, (Letter from Jessie K. Bumpus, owner and occupant, October 21, 1936). 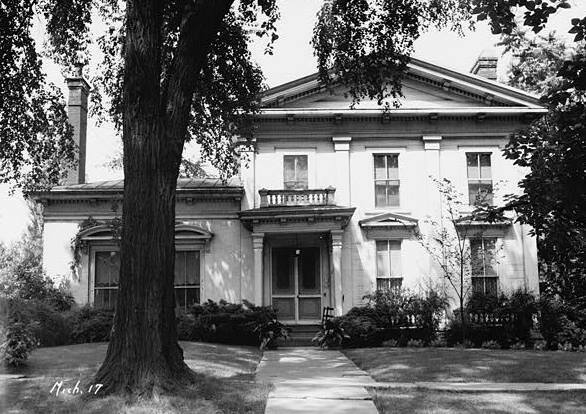 Robert McClelland, the most notable of the former owners, came to Monroe in 1833. He went into partnership, practicing law, with James Q. Adams for about two years and then in 1835 opened an office and practiced alone and with great success. He was a member of the Constitutional convention of Michigan in 1835; a member of the State Legislature in 1838-1840 and 1843 and Speaker of the House in the latter year. A member of congress for three successive terms (twenty-eighth, twenty ninth and thirtieth congress) from 1843 to 1849; member of the constitutional convention in 1850; the first Governor for the short term under the new Constitution for 1852. He was elected in 1852 for the term of two years and went into office as Governor, January 1st, 1853. On the inauguration of Franklin pierce as President, March 4, 1853, McClelland was appointed Secretary of the Interior in which office he continued until the end of Pierce's Administration, Maarch 4, 1857. This was his last public office. He had moved to Detroit prior to his election as Governor and resided there until his death August 30, 1880. (Wing's History of Monroe). Benjamin Dansard had been in this country before, returned to Paris, met there Miss Boyez whom he married and returned to this country with the Boyez family and settled in Monroe. 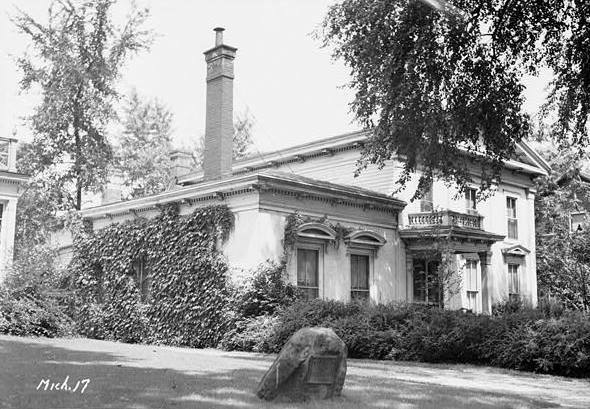 Mr. Boyez, Mrs. Dansard's father, built a house on the West Front Street in 1830, which has since been torn down. He had been an officer in Napoleon's army. The west wing of the house was added by Benjamin Dansard.